February | 2013 | Small Farmers. Big Change. This is how I remember Raúl – kind and patient as in the photo, intelligent and inspiring as in the video. I first met Raúl in 1998 in Quillabamba, Cuzco, Peru. He had recently left a comfortable, important government job for an uncertain and quixotic task — re-building the Agrarian Cooperative of La Convención and Lares. COCLA, the acronym the organization is known by, was founded by farmers who had been among the first sharecroppers in South America to revolt against the fedual conditions on the large plantations. When they had won land rights, those farmers organized COCLA and and by the 1970’s grew it into one of the four largest co-operatives in Peru. But in the economic chaos of the 1980s, the organization had disintegrated. Village by village, farmer by farmer, Raúl re-built trust and encouraged differences of opinion to re-engerize the coop. 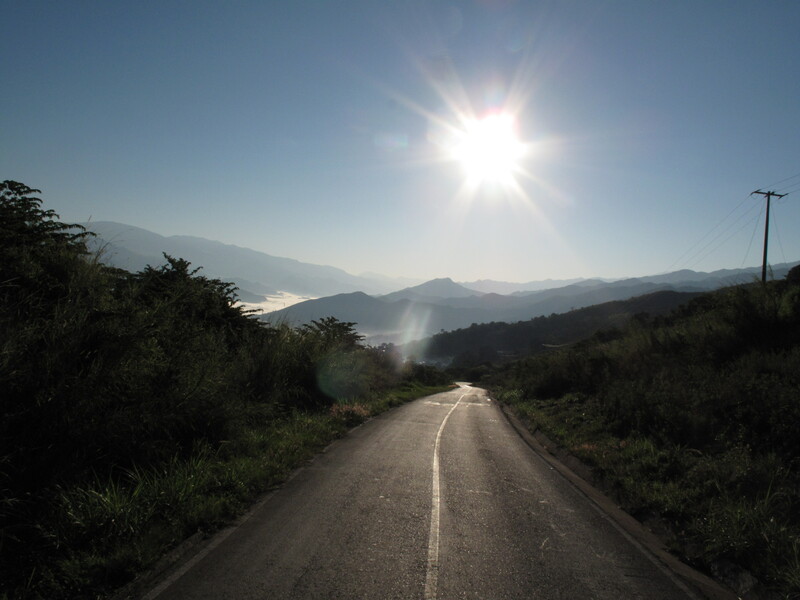 Within a decade, COCLA was once again one of the top coffee exporting organizations in Peru. 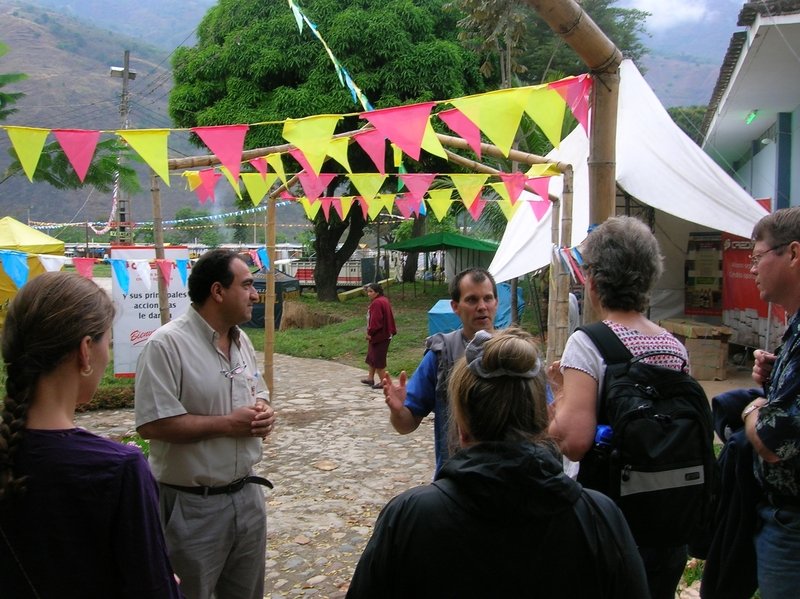 As other co-ops sought to learn from COCLA, Raul spurred the creation of the National Coffee Board of Peru to bring together all the coffee co-ops in Peru to advocate for political change. Within half a dozen years, that group forced changes in two laws to benefit co-operatives. 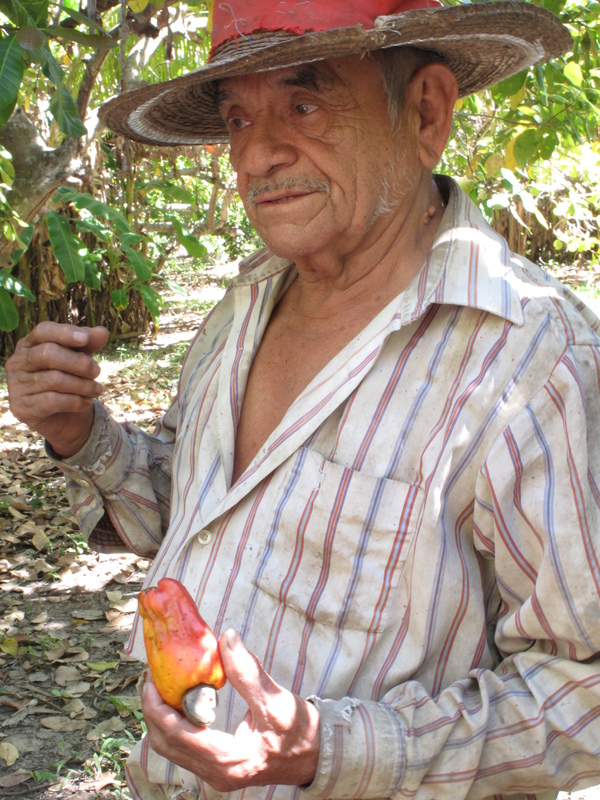 Working internationally, Raul was a leading voice of the Coordinating Body of Latin American and Caribbean (CLAC) fair trade organizations, eventually helping to create a separate farmer-controlled fair trade certification organization (FUNDEPPO and the Small Farmer Symbol – SPP). Today when small-scale farmers meet in villages across the Global South, they have a more resources to use thanks in part to Raúl. When parishioners discuss social justice in church basements across the Global North, they have a few more options thanks in part to Raúl. I will miss Raúl’s kindness, patience, and intelligence but will carry his inspiration into tomorrow. 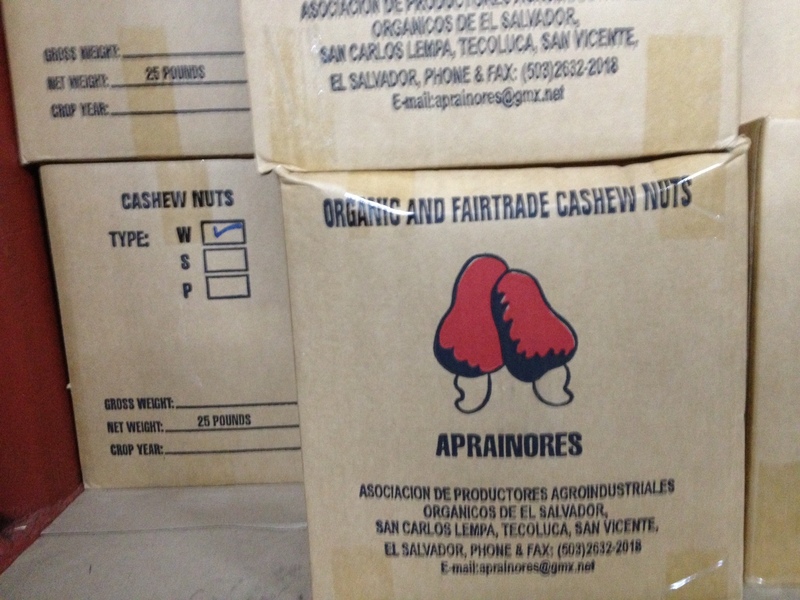 The following was an email sent to us by Anna Canning from our Portland office where our first shipment of cashew nuts from the small farmer co-op, Aprainores in El Salvador arrived yesterday. 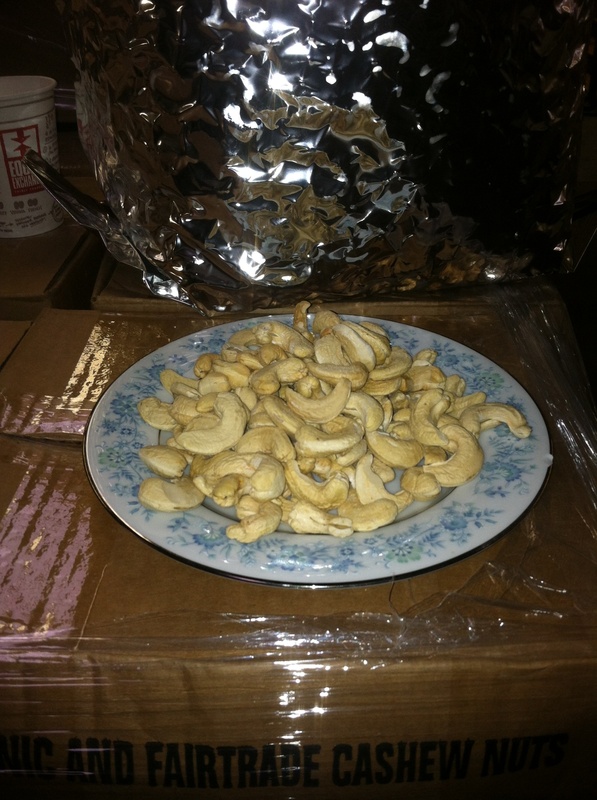 Shawn and Tyler sending our first shipment of cashew nuts to our customers! 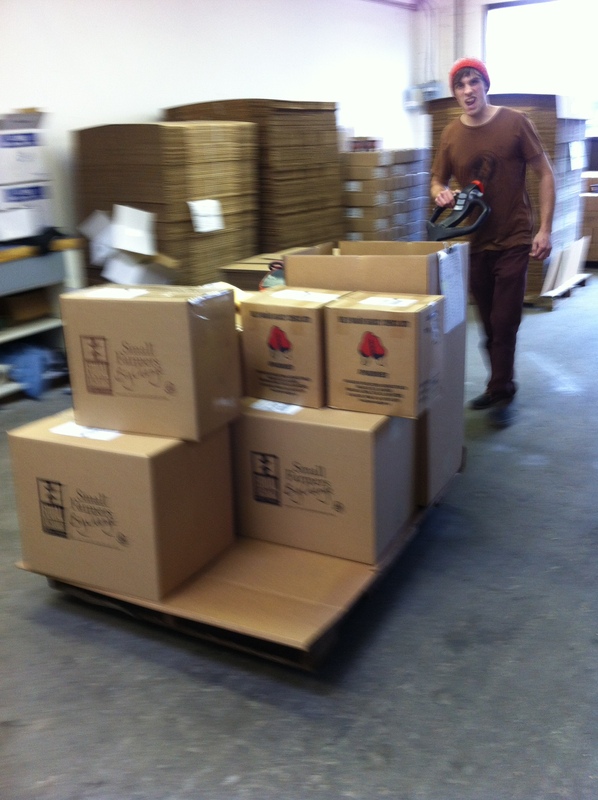 Here are the first boxes of cashew nuts going to customers, sold by Rafael, and shipped by Tyler. 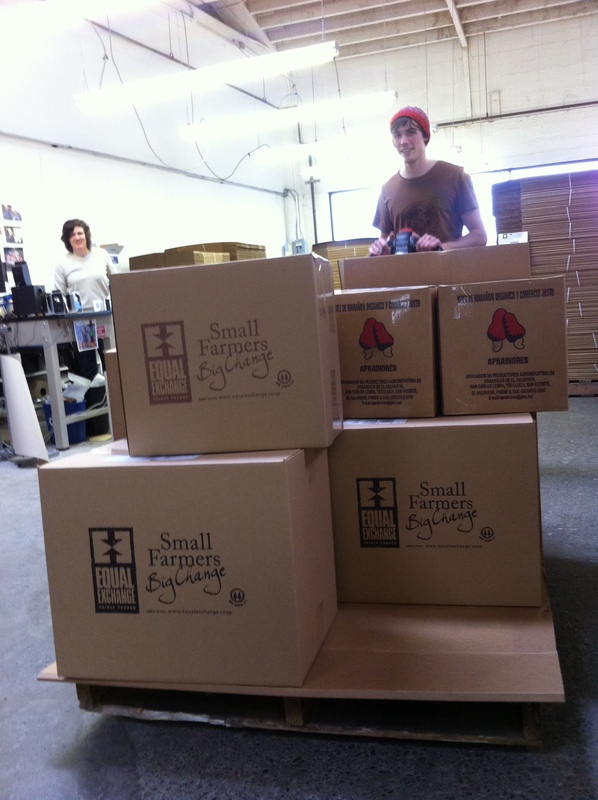 Love the way the boxes all stand with small farmers–big change indeed! The candid shot is unfortunately blurry, but it captures the pace things are moving around here today. Where do your nuts come from? Our very first container of organic, Fair Trade, small farmer cashew nuts has just arrived from the Aprainores Co-op in El Salvador! Soon to be sold at a food co-op near you. Look for them! Enjoy them! Let us know how you like them! Read more about Aprainores here. 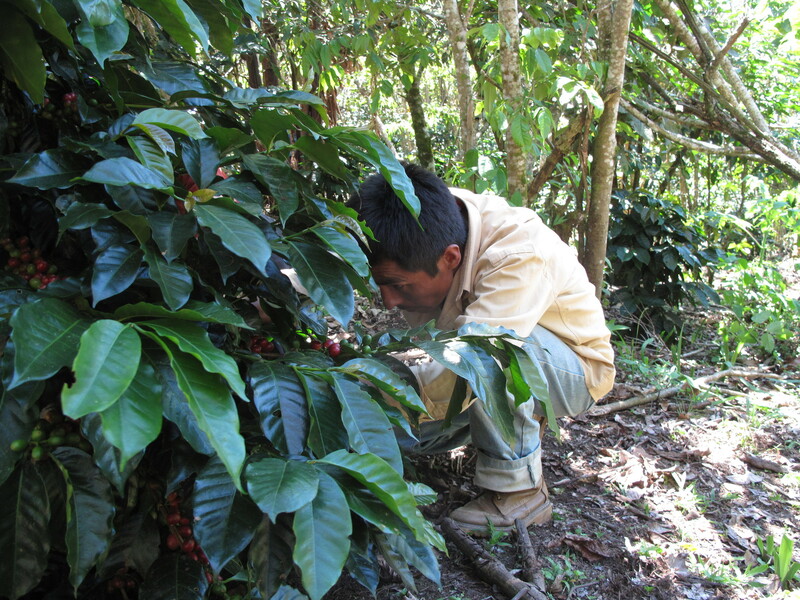 Escolastico Perez Gomez picking coffee. Coffee growing is the most intense work I have ever witnessed. I can’t really put it into words. Coming Soon… to a Food Co-op Near You! 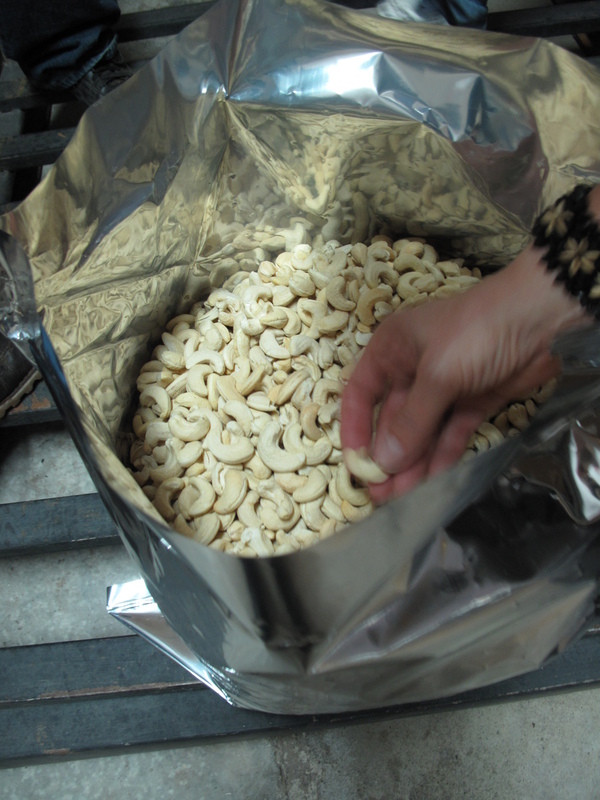 We just got word that our first order of organic, Fair Trade cashews from the small farmer co-operative in El Salvador, Aprainores, have arrived! 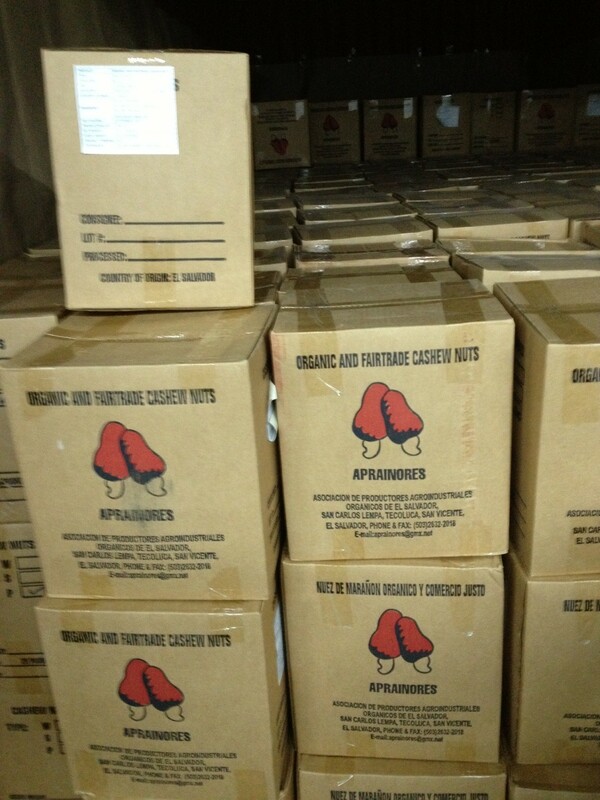 As soon as they are released from customs, we’ll be shipping them out to food co-ops across the country. Look for them soon in the food co-op nearest you!